Surgery on Sunday is a non-profit that provides essential outpatient procedures at no cost to income eligible individuals who are either uninsured or under-insured and do not qualify for federal or state assistance. It is the first program of its kind in the United States. The program was a longtime dream of Lexington plastic surgeon, Dr. Andrew Moore, II. In his nearly 40 years of service, Dr. Moore and his brothers had helped numerous individuals who “fell between the cracks” of services currently available. Individuals who made just enough to disqualify them from assistance, yet didn’t make enough for surgery to be financially viable. In the early years of his career, providing free surgical services was as simple as calling the hospital and asking them to forgive the expense to the patient. As the healthcare environment changed, the ability to do this type of surgeries vanished. Dr. Moore made it his mission to see the working poor receive outpatient services that they would not otherwise receive due to their financial constraints. In 2005, through a Mission and Ministry grant from Saint Joseph Hospital parent company, Catholic Health Initiatives, Surgery on Sunday was born. 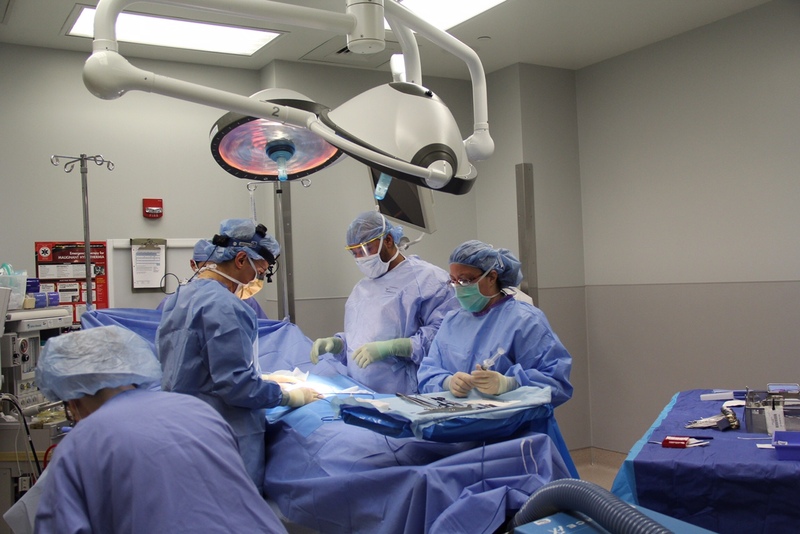 After receiving the start-up funds, Dr. Moore approached the Lexington Surgery Center to partner with to provide operation rooms, equipment and other overhead requirements. Eleven years later, the Lexington Surgery Center is still the surgical home of Surgery on Sunday every third Sunday of the month. The cornerstone of the program is that all individuals providing care and operating the program are volunteers, with the exception of a full-time Executive Director. Currently, there are 400+ volunteers that contribute to the program and provide care for our patients including: surgeons, anesthesiologists, nurses, scrub techs and administrative personnel. To date, volunteers have donated nearly 100,000 hours of service in providing nearly 6,000 surgeries since inception, with that number growing monthly. Surgery on Sunday is blessed to have many supporters who contribute financially and through in-kind donations. For many years, the Lexington Fayette Urban County Health Department provided office space for the administrative offices. 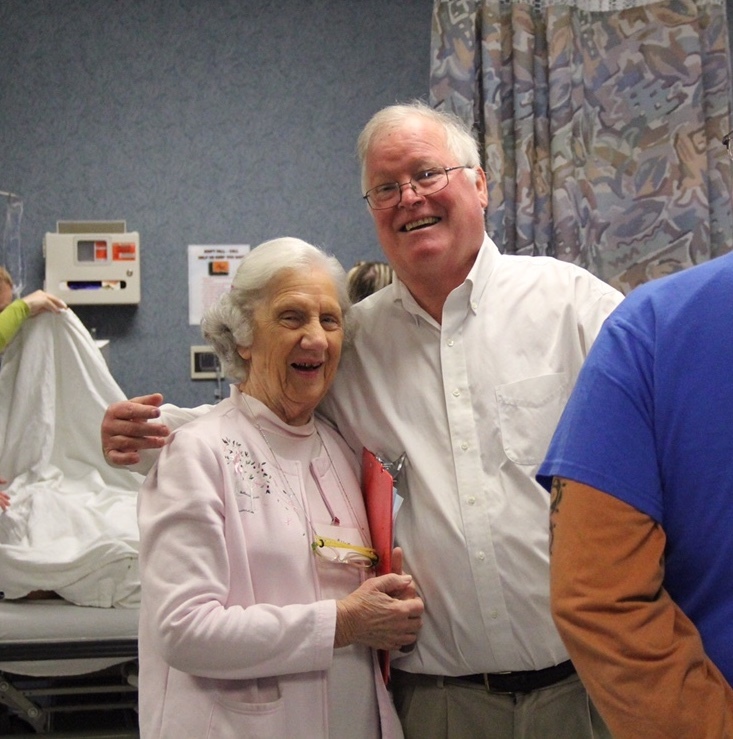 When they outgrew their space, Saint Joseph Hospital, part of KentuckyOne Health, graciously donated office space beginning December 2015 to relocate the administrative offices. Due to the generosity of so many, Surgery on Sunday is able to provide surgeries at an average cost of $1,500 per case. The long-term goal of Surgery on Sunday is to help communities across the country expand the Surgery on Sunday program. One such program is Surgery on Sunday Louisville. Each location operates independently.